Are you seeing all the possibilities? Turn on extra lights. Stand on a chair. Lie on the floor. Turn upside down. Do whatever you have to do to shift your vision and reach a different vantage point to change the way you see what you have! Use your imagination when you look it. Transform it into something you can create from. The possibilities are endless. Get creative with what you have. 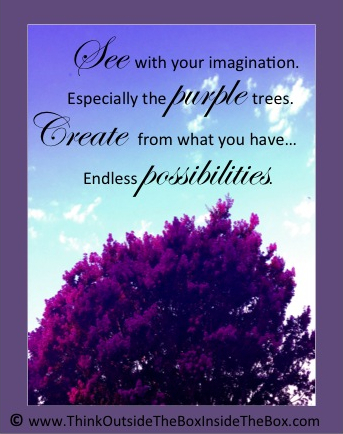 Create from what you have—endless possibilities.